Long Island City residential towers, this year, as crowds gathered on the 4th of July. Not so many years ago, I made mocking references to "the skyline in Western Queens" when friends came to visit Roosevelt Island. It was dominated by the hulking and lonely Citi tower that looked like a symbol of false hopes. But that's different. Glass towers responded to residential demands, office and other business structures soared as trains heading into Queens Plaza filled to capacity. Most days, now, we report Q102 delays because of street level congestion. Construction hasn't slowed. And that was before the business/technology news of the year broke yesterday. According to reports in the Wall Street Journal and the New York Times, Amazon's reached a final decision on HQ2, a project for which 240 municipal areas competed in the past year. Surprisingly, the Seattle based company made a split decision. 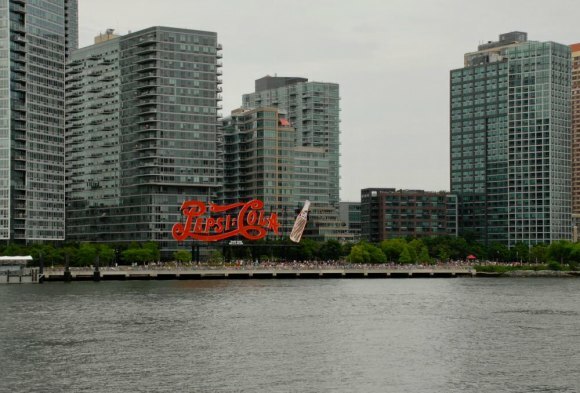 Long Island City shares HQ2, which will need a new moniker, with Crystal City, just across the Potomac by car or train from the nation's capital. It's a strategic decision that provides ready access to national power structures in politics, finance and technology, options already maxing out in the Northwest. Certainly, the nearby presence of Cornell Tech on Roosevelt Island played a role in the decision as it was always projected to in similar circumstances. Technology jobs that Seattle couldn't fulfill was a driving force in seeking a second headquarters. 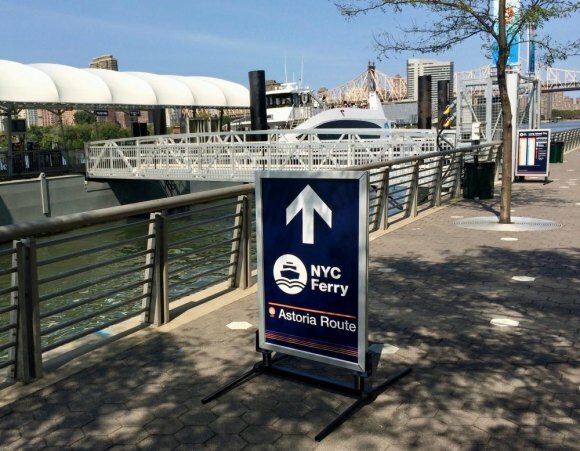 The Gantry Park stop on the NYC Ferry Astoria Line is just a quick hop across from Roosevelt Island. The good news is, approximately 25,000 new high paying positions open up at Amazon with more to come in construction, service providers and spinoffs. "The arrival of Amazon in Long Island City could finally establish New York as a technology hub on par with its West Coast rivals," according to the Times. But change travels with costs, strains on existing infrastructure and a certain cultural/societal revolution that can never be reversed. It was coming anyway. This accelerates it, as Amazon is expected to move quickly, hoping to get access to around 500,000 square feet of space in the next year. For Roosevelt Island, the potential for increased subway ridership, something we're nowhere near capable of absorbing, appears less of a threat as New York's half of HQ2 appears to lean toward the south end of Long Island City, not the north where Queensboro Houses now dominates. The 7, N, R and W Trains will be far more impacted. We'll be only a short ferry ride from a municipal bubble about to expand. We may get the jobs, new restaurants and other services without the overloaded sewer and water lines Long Island City will inevitably be forced to manage. The Daily thanks Sylvan Klein for getting on top of this news before we did.